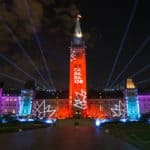 The Yukon is a spectacular, pristine part of Canada but it is also one of the most sparsely populated regions, with most of its 37,000+ residents living in the capital city of Whitehorse. 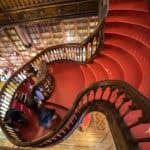 Which means accommodations elsewhere can be sparse, but that doesn’t mean there aren’t some interesting ones that are both boutique and unique. Here are our recommendations. 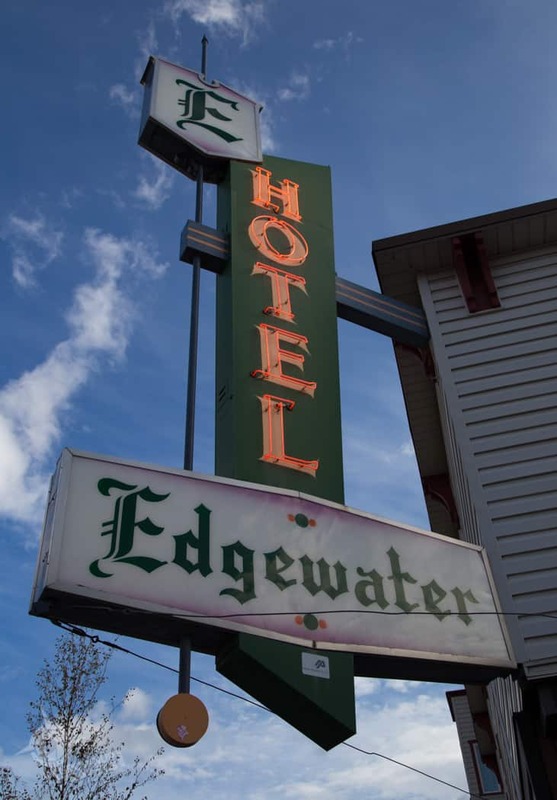 The corner in downtown Whitehorse where the Edgewater is located isn’t just a perfect location for visitors to use as their base for exploring this city, it’s also an historic location where hotels have stood since the Gold Rush day of the 1890s. The location can’t be beat, as it’s right on the main drag and within easy walking distance of Whitehorse’s shops, restaurants and bars. 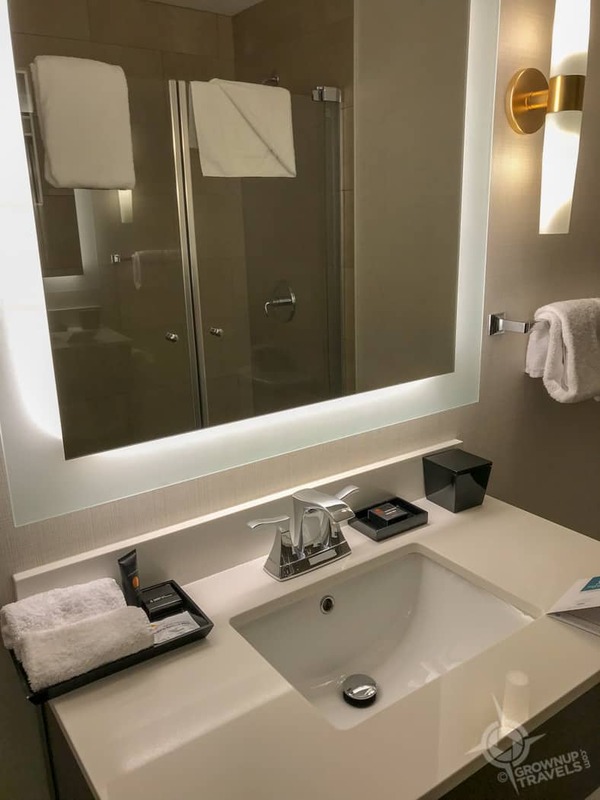 Although the hotel looks vintage (including the original-now-retro sign from the 1960s), the rooms have all been updated with modern decor and amenities, comfy beds, cozy robes, glass showers and First Nations artwork. 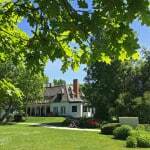 Rooms are a decent size, and there are some suites available with full kitchens as well. There is no elevator, however, so be sure to ask for assistance if you’re not comfortable carrying your own bags to the second floor rooms. 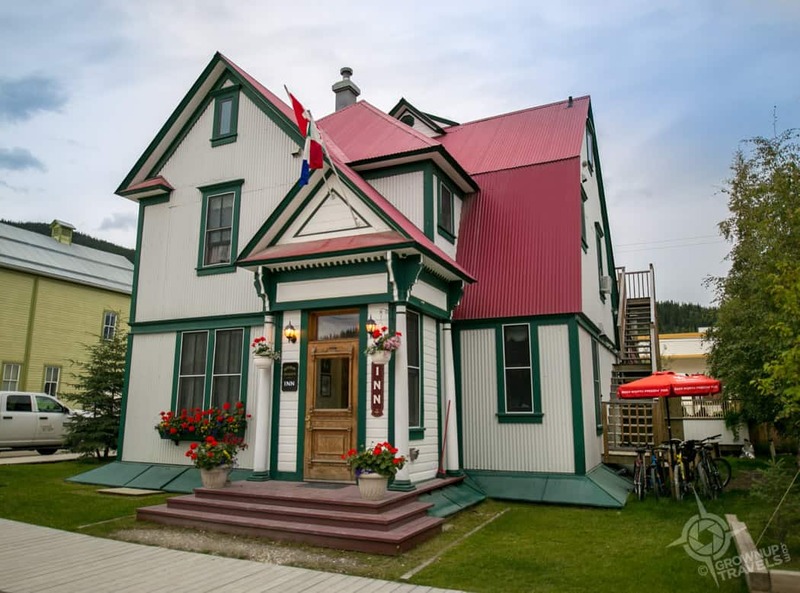 If you’re planning on visiting Dawson City, especially during one of their many festivals, book early to ensure you’ll get a room at Bombay Peggy’s, because this character-filled 2-story boutique hotel only has a few rooms and they fill up fast. A former brothel, the house was rescued from ruin, relocated from the outskirts of town to its current location right downtown, and lovingly restored to its former days of ‘glory’. The red, white and green exterior of the house is as charming as the interior, where you’re welcome to relax in a Victorian parlour with complimentary sherry and baked goodies provided. The upstairs rooms are all different, each one decorated in period style with unique fabrics and antique furniture. 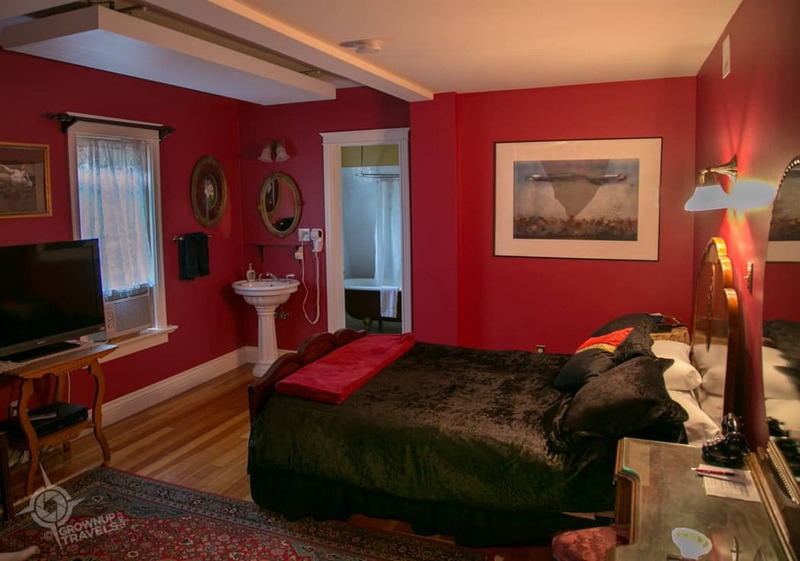 We stayed in the Lipstick Room, which had ruby-red walls, a queen bed made up with sumptuous fabrics (velvet coverlet and down duvet and pillows) and a claw-foot tub/shower combo in the ensuite. A well-equipped coffee/tea bar offers everything you need to make yourself a proper cup of caffeine come morning, and there are other complimentary beverages in the fridge as well. In the morning, since there is no restaurant on-site, we were delighted to find a breakfast snack of fresh baked croissants delivered and left at our door. TIP: Bombay Peggy’s may not have a restaurant, but they have one of the best cocktail bars in town, so be sure to stop in for a drink or two from their risqué-themed drink menu. The bar also has a very 21st-century charcuterie delivery service, where you can just text your table number and order to a local shop (Bonton Butcherie) and they will deliver a delicious appetizer board of local cured meats and cheeses right to your table. How decadent is that! 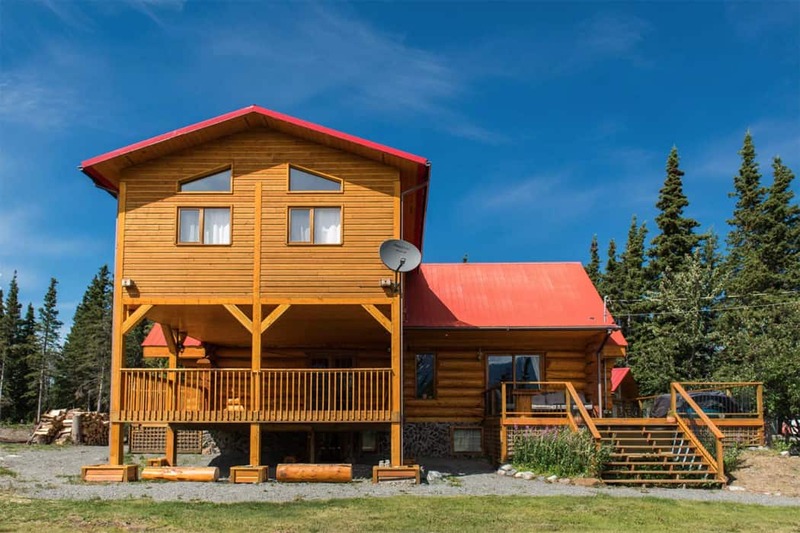 Known for its outdoor adventure packaged stays, Dalton Trail Lodge is ideally situated for anyone who wants to spend some time in the Yukon’s great outdoors with people who know the Haines Junction area well. They can help arrange everything from ATV tours to flights over the glaciers, and everything in between. Fishing is very popular here and Dalton Trail offers all kinds of organized fishing options, whether you head out on Dezadeash Lake where the Lodge is situated, or to other lakes in the vicinity (like nearby Kathleen Lake in Kluane Park). 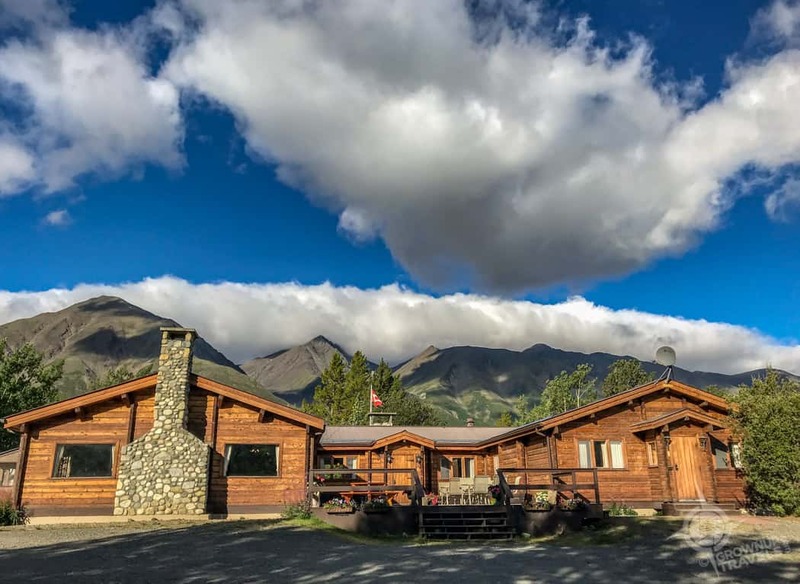 If you prefer hiking and want to explore some of Kluane Park on your own or with one of their guided excursions, the Lodge is located very close to the Park boundary. 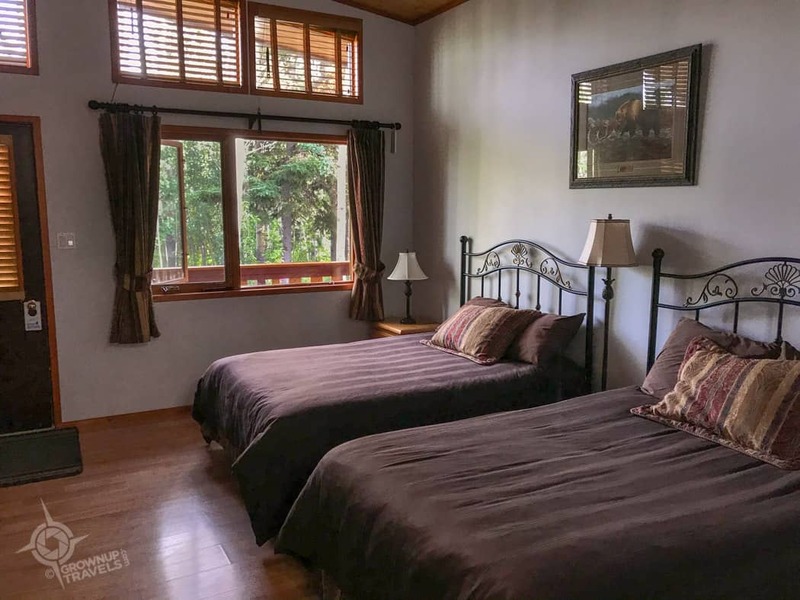 If you are just looking for accommodations, you can choose from rooms in the main lodge, or in one of several detached buildings that are located closer to the lake. If you are lucky and you head out after dark, you might just see northern lights dancing above Dezadeash Lake. Inside the main lodge there’s a great Alpine-style bar with a stone fireplace and some pretty impressive taxidermy on the walls which gives the place a bit of an apres-ski vibe (perhaps its the Swiss owners’ touch as well). And when it comes to breakfasts, that European influence is demonstrated in an abundant buffet that includes all your typical breakfast fare plus delicious deli meats and cheeses, homemade bread and cooked-to-order eggs. Mount Logan Lodge is exactly what you picture when you think of deluxe country accommodations: a large log home with a soaring great room decorated with an enormous moose head, fur throws and sink-into leather furniture; a huge deck with hot tub and spectacular views of the Kluane Park mountains; and of course your choice of a number of very comfortable and stylish rooms. There’s even an upper executive loft with a skylight for viewing the night sky and keeping a watch out for northern lights. But what makes Mount Logan Lodge really special are their other, more interesting accommodations for guests who are feeling a little more adventurous: a Mongolian-style yurt, a retrofitted school bus, and the option that Henk and I chose for our 2-night stay: a very rustic one-room log cabin! 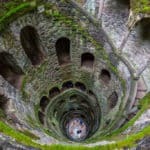 Now, while most people may not choose to stay in an room without any plumbing, and where your heat source is a wood stove you have to stoke yourself, we actually loved it! There is something very ‘Yukon’ about the experience, and you get a sense of the pioneering mindset that early settlers needed in order to thrive. As for showering? 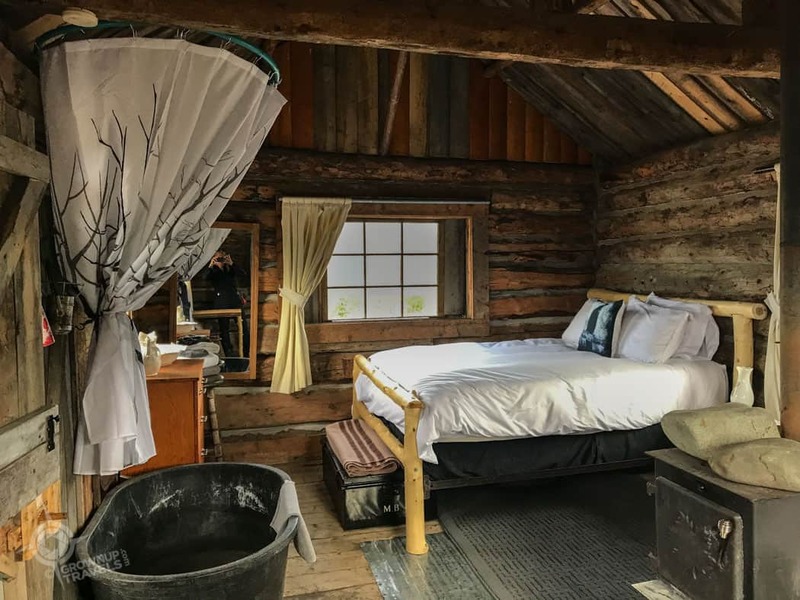 Well, you can wimp out and use the main lodge’s facilities, or try their on-demand hot water outdoor shower that is only a short walk from the cabin. 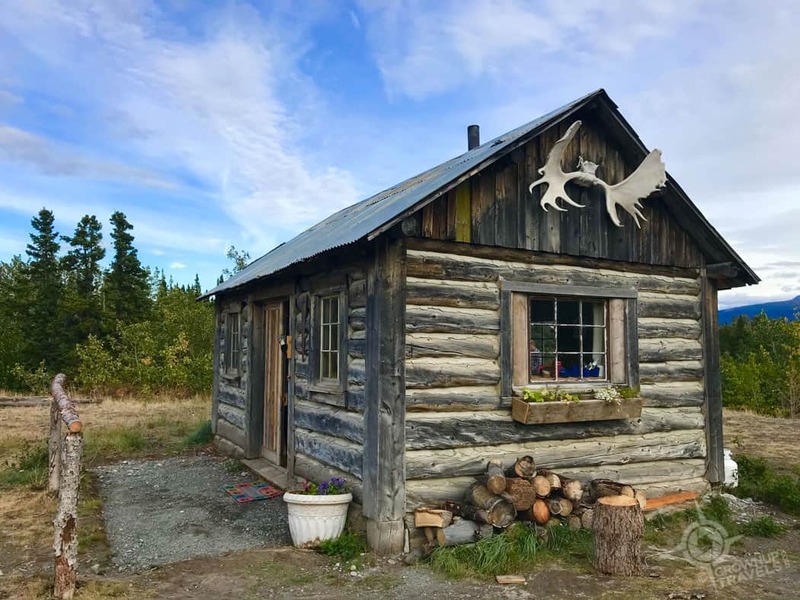 If you’ve never pooped in an outhouse in your life, this is not the place for you, but if you want a Yukon version of glamping that offers an experience not just a room, you’ll probably love this little cabin. And don’t be freaked out by the grave adjacent to the cabin: it’s where Butch Roland-Nygren, a WWII RAF bomber pilot is buried. Nothing to worry about. No ghosts, either. Really. Want to read more about our experiences in Yukon? Click here.